This workshop is currently sold out! To be placed on the waiting list, email lessons@hmtrad.com with the number of spots requested, phone number, and whether you are able to attend Saturday or Sunday. Our next workshop will be in July, so join HMT’s email list at hmtrad.com to be notified when the date is announced. all while hitting big drums with big sticks! 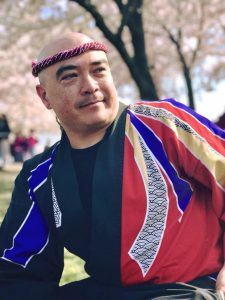 Sign up for Mark H Taiko’s Introductory Taiko Workshop! there will be TWO opportunities to try taiko this April! Join us on EITHER Saturday the 27th OR Sunday the 28th! Taiko is a dynamic art form based on traditional Japanese drumming practiced all over the world. 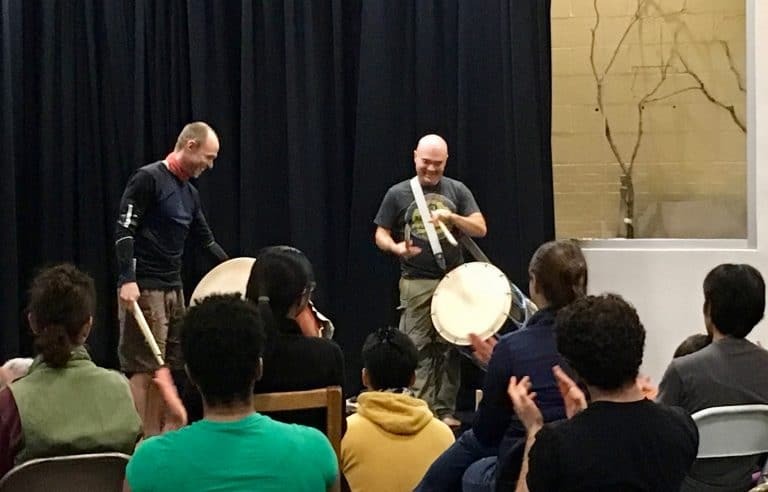 This workshop is designed to introduce the basics of taiko technique, practice of kumidaiko (ensemble drumming), awareness of ki (energy), use of koe (voice), history and philosophy — all while having a good time! No experience necessary, but come ready for a workout! This introductory taiko workshop is for ages 13 & up. Drums are provided. Register Here or call (301) 270-9090. Register early — workshops can often fill up! The Introductory Taiko Workshop (or previous taiko experience) is a prerequisite for Mark’s ongoing classes. 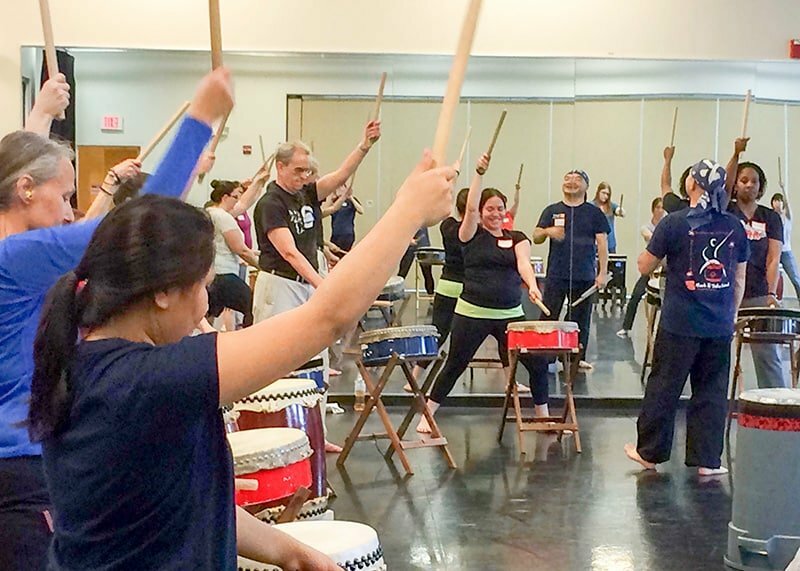 Our next Adult Recreational Taiko Class begins on May 5!